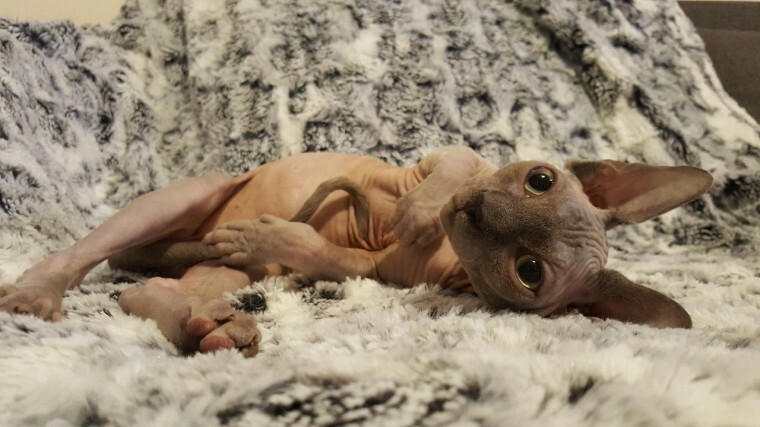 We have beautiful grey Sphynx boy ready to go to hes new home,(he\'s darker then looks in the pictures). He has travel passport,microchip, all vaccinations done. Knows how to use litter box, eats dry and wet food. He\'s very active, friendly with people and other cats. Will leave bathed, nails clipped and ears cleaned. Any questions fell free to ask. More photos and videos available.